We strive for excellence in all we do, from our complimentary fruit plate and cold filtered glass bottled table water, to our "World class" fine meats including the extra thick cherrywood smoked, dry aged bacon that our guests can't seem to get enough of. 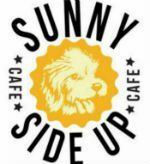 We cordially welcome you to sunny side up café New Berlin. Our ingredients are freshly sourced, helping sustain our local community and bringing your food directly from farm to table. We take the time to get to know our guests, ensuring quality support to fit exactly what you need. "I really enjoyed my breakfast here. The portions were very generous and the food was fantastic. Super cute little place inside. My husband got the pancakes and I got eggs with bacon and everything was great."